Need more information about booking Home 7325156 ? Staying in a historic house established 1785 in Noordwijk, with many authentic details, but with all modern comforts … that is possible! Right behind the boulevard of this fashionable seaside resort you will find this charming white holiday home, unique in Noordwijk! Strandhuis ’t Vissershuisje 17 has a spacious terrace, where you can enjoy a drink while looking back at a wonderful day on the beach. 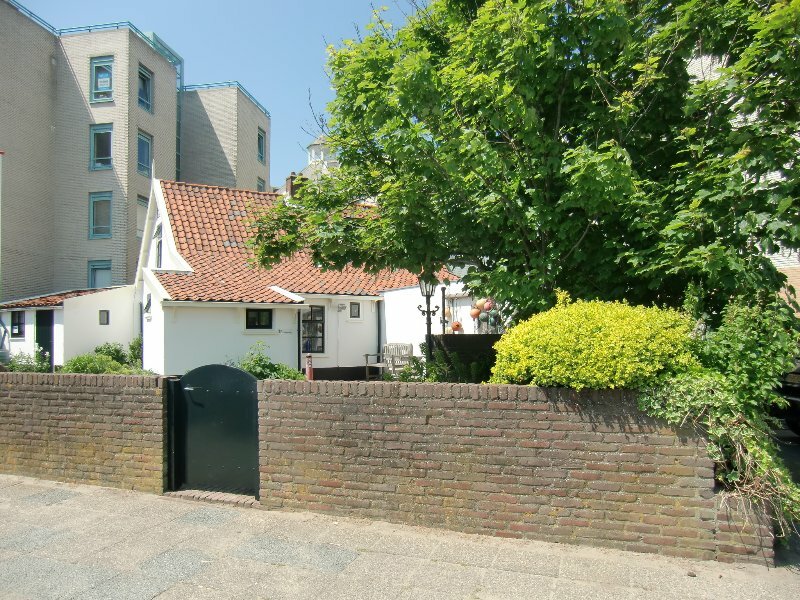 This holiday home is a semi-detached building, with the other part being the Strandhuis 't Vissershuisje 15 holiday home, which can accommodate 5 people. Parking for one car free at the house!! You enter directly into the welcoming kitchen diner. Then you can walk into the living room, which has a nice seating area. A staircase leads to the spacious bedroom with a low double bed and a washbasin. Also the possibility of a third bed. The bathroom is on the ground floor. Rental periods run from Friday to Friday, Friday to Monday, Monday to Friday. Other periods please enquire at Vissershuisje Noordwijk. Please visit our Vissershuisje Noordwijk and you will find out what to do when in Noordwijk. We will give you the keys when you arrive, Then we will explain abouth the house and what you can do in the area. You can get in touch with Gerrit (the owner) through the contact form on this page. Send Gerrit (the owner) an email through the contact form on this page. Alternatively, if there’s a phone number on this page, you can call them. How do I contact Gerrit (the owner)? If you’ve already booked, go to Manage your holiday booking to view Gerrit the owner's contact details or send them a message. Or send Gerrit (the owner) an enquiry through the Contact the owner/manager form if you’d like a quote or more info first. When you pay online through the Book your stay form, a booking request is sent to Gerrit (the owner). You’ll find out within 24 hours whether they’ve accepted - no money will leave your account before then. You can also request a quote from Gerrit (the owner) through the contact form. The owner will email you the total cost for your dates and a link to book and pay online. Use the Book your stay form to pay provisionally online. You can pay by credit/debit card or PayPal. Gerrit (the owner) will have 24 hours to accept the booking and no money will leave your account before then. Why can't I call Gerrit (the owner) before booking? You’ll need to contact Gerrit (the owner) to do this. Send them a message in Manage your holiday booking or through the contact form on this page. You can request to change the dates or number of people on your booking via the Manage your holiday booking page. To change your holiday dates use the Edit booking button. If you need to change the number of guests staying then send Gerrit (the owner) a message. If Gerrit (the owner) agrees, they’ll send you a revised quote outlining the changes. You can review and accept/decline this from the Manage your holiday booking page. You’ll have 48 hours to take action before the revised quote expires.